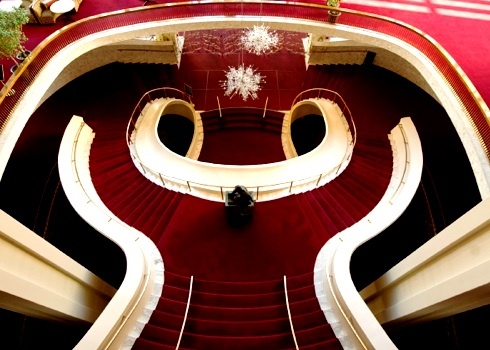 The official explanation, as proffered to the New York Times, cited three factors: the disruption caused by Superstorm Sandy, an ill-advised 10 percent price increase in a sputtering economy that undercut sales far more than forecast, and the ongoing problem of the Met’s aging subscriber base continuing to buy fewer tickets while younger opera goers still didn’t find their way to the Met. However, the Met’s challenges are not meteorological, demographic, or cyclical; they are structural. The fiscal trajectory of the Met makes an economic crisis inevitable. Even after accounting for the cost of media efforts such as “Live in HD,” the cost of presenting a season at the opera house has increased at a rate twice that of inflation during the Gelb regime. During that same period, box office revenue was basically stagnant until it plunged last season. No one expects income to cover expenses at an opera company, but the difference between income and expenses has more than doubled in the past decade, culminating in a staggering $161 million gap last season. The Met’s donors actually ponied up a remarkable $158 million towards filling this hole. To put the Met’s annual fundraising obligation in perspective, here are two sobering facts. In a single season, the company requires more in donations towards annual operating expenses than the New York Philharmonic, BAM, Carnegie Hall, Lincoln Center, The New York City Ballet, and Lincoln Center Theater combined! Or, to put it another other way, the Met’s fundraising obligation of $161 million is more money than the National Endowment for the Arts disperses in a single year. While that fact is certainly a painful reminder of the pathetic level of arts support in the US, it’s also an indication of just how massive the Met’s fundraising needs have become. Not surprisingly, the company finds itself backed into a very uncomfortable corner. It can’t continue to count on this level of donations year after year, let alone on the increased level of donations current budget projections would suggest it requires. It has little financial flexibility to offer interesting repertoire or take risks with the directors it chooses. It can’t impose on those same tapped-out donors to raise much needed funds capital for renovations or a healthier endowment. And most critically it, gives the Met precious little room to maneuver in this year’s union negotiations. There is much to unpack in those two statements—but let’s begin by correcting a glaring factual error. According to the Met’s own annual report the company outspent income and donations by $4.5 million during Volpe’s last year as general manager—far from a balanced budget. In fact, the company overspent during 4 of his last 5 seasons as General Manager and it was on his watch that the Met set in place the spending patterns that have so compromised the company today. Next, there is extremely disingenuous implication that the $102 million growth in the Met’s budget over the first six years of the Gelb regime was due to new productions and waste. Conveniently, the Met provided the cost of new productions for last season in a recent regulatory filing—$21.8 million—or roughly $3.1 million per new production. This is a fairly consistent figure over the past few seasons. So, by going from the four new productions of Volpe’s final season to the seven last year, the Met increased annual expenses for this line item by roughly $9.3 million dollars. Another source of increased expense was Live in HD Series, SiriusXM channel, and other media initiatives. Their cost was $33.9 million; However, the Met earned $34.5 million from its media programs, so this is in fact a wash. The argument has been made that the Live in HD series cannibalized box office revenue, but only anecdotal evidence suggests that is true. I would instead contend that the audience for the HD series is not people who chose to attend an HD instead of attending in person, it’s people who went to the HD as their way of going to the Met. The HD audience consists of older opera patrons in the greater NY metro area who don’t venture into the city as frequently as they once did, opera fans around the world who might make it to the Met once every couple of years, and people who feel that spending 20 bucks to see an opera on a big screen is better than the equivalent experience in the cheap seats and standing places at the Met. Only the Met has the data to confirm or disprove either hypothesis and they’re not sharing. Without more fiscal transparency from the Met, it’s impossible to know how much of this was due to the most common source of labor spending going over budget, unplanned overtime. When the Robert Lepage Ring production was introduced, excess overtime was a serious problem. The production required additional technical rehearsals and performances ran way past the scheduled end times because of the long breaks when the Machine had to be rebooted. During Gelb’s second season, the stagehands were complaining that they had to put in too much overtime because changeovers between overly complex productions required extra labor. However, recent backstage gossip from the Met recently suggests that unplanned overtime is not nearly so significant a problem as it was in those earlier years. In fact, Vladimir Jurowski noted in his talk to the Wagner Society that the Met only let him due an uncut version of Die Frau Ohne Schatten if he could finish in less than 4 hours with intermissions. He made it in time. In their discussions with the press: the union sources have cited three wasteful items. The first is rehearsals held on Sundays, when union members make double time. This season, the Met scheduled just two Sunday rehearsals, with piano only. Next is new productions that in the union’s view had needlessly lavish sets and costumes. They cite the example of the silk flowers used for the poppy field in Prince Igor. Now, honestly, how much more could silk flowers have possibly cost than the alternatives (plastic? paper?) and would the substitutes have been as convincing under the glare of theatrical lighting and the scrutiny of HD cameras? Has everyone forgotten the risibly cheap spring-loaded flowers that went boing-boing during the Good Friday Spell in the first season of the Met’s previous Parsifal production? More importantly, new productions are almost always fully funded by gift from board members and other major donors. That is to say, money for new productions is held in a different account from funds for operating expenses. If new productions don’t happen, the Met doesn’t automatically get those extra funds to use towards general expenses. Last in the union list is international airfare for artists travelling to the Met. This is, perhaps, a cost center where savings can be found. Anyone who’s been hanging out here at parterre box knows that smaller parts are frequently cast with foreign artists, chosen by our post-Colonial overlords operating out of secretive arts management companies in London. In difficult financial times, it should be possible to cast these parts with fine local singers and avoid travel expenses while giving American singers needed gigs and exposure. But, even if every comprimario role went to a US-based singer, what would be the potential savings? Taken together, I guesstimate that all three of the union proposals would result in savings of not much more than a couple of million dollars annually, barely enough to provide the unions with a one percent increase in compensation. Now if AGMA were serious about allegations of waste, it would help if to provide more concrete data on potential cost savings. Otherwise, they are starting to sound like the Republicans who argue that food stamp spending can be cut because they read a story on redstate.com about people trading food stamps for alcohol. Their only substantive proposal has been to set up a financial oversight board with union representation to provide oversight over spending on new productions and the like. Frankly, I think this would be a nightmare. No self-respecting director would tolerate that level of hostile micromanagement. A more workable approach might be to let the unions have a single representative on the financial subcommittees of the Board of Directors. It would also help the unions cause, if they offered their own suggestions for simplifying work rules. Less complicated work rules don’t necessarily lead to cuts in pay if they are pegged to appropriately calculated pay rates. For its part, the Met, has done itself no favors in the early chess moves of the contract negotiations either. Sure, there were sympathetic news stories in the New York Times and the Wall Street Journal that laid out a case for requesting concessions from the unions, but those stories ignored the most obvious question: Why the urgent need for cuts right now? Early proposals from Met management suggest that they want to roll back labor expenses to what they were before Gelb even started as General Manager. As draconian as that may be, I’m not even sure that is enough. It’s very difficult to judge because the Met management has been just as guilty of tossing around numbers without context as the unions have been. They cite the Met’s massive annual fundraising obligation but give no indication of what they think a healthy annual fundraising goal should be. In a sure sign of institutional cowardice, the WSJ has to resort to citing an anonymous “person familiar with the matter” for the information that the Met would like to refocus its fundraising to building an endowment and reducing the need for annual giving. That’s an admirable plan, but it’s one that should be shared with the unions and eventually the public that is providing those donations. Nowadays, donors expect unprecedented levels of transparency and accountability from the organizations they support. So it does not sit well that the most recent published annual report from the Met is from two seasons ago. Even then, that financial document reveals as little as possible. Nonprofits that don’t provide a full view of spending and revenue are viewed with suspicion and distrust. The Met seems to forget that the NY opera public is still recoiling from the demise of the New York City Opera. The City Opera gave the impression that they were slowly recovering, then suddenly they needed $8 million… and then they were gone. City Opera never adequately explained their pressing need for this large amount and as a result they couldn’t raise it. While the Met is in not in the precarious straits of City Opera, their endowment could quickly be drained by a few more years of lackluster box office and slackening donations. Moreover, no one at the Met has shared their ideas for how they will get box office and attendance back to healthier levels. The Met can’t succeed through cost cutting alone; it can only slow its own demise. What in the Met’s future artistic plans is intended to generate interest or excitement? Where in the programming are there the productions that might lead curious music lovers to find their way to the Met for the first time or inspire someone who hasn’t been to the Met in a while to return? On paper at least, next season promises to be mind-numbingly dull. It’s not the season of an opera company that aspires to generate interest or increased attendance. In fact, it is the perfect season for a company that is anticipating a lockout as there is little that will be missed if it doesn’t happen. Peter Gelb promised to revitalize the Metropolitan Opera through an increased number of theatrically exciting new productions, better casting, and innovative media initiatives. He had the right ideas, but has been largely unable to execute on them. The media initiatives have been a notable success drawing attention, if not attendees, from well outside the operasphere. New productions of core repertory works have largely been serious disappointments that rarely improved upon the tired productions they replaced. Productions of works new to the Met have provided more artistic successes, but not enough to inspire any confidence in the company’s ability to nurture a great opera production. Casting has been equally exciting and bewildering, with an over-reliance on singers that appear to have been chosen for the Met rather than by the Met. To return to the union’s complaints about his stewardship of the Met, they had it almost right. The problem isn’t that Gelb’s business model is failing; it’s that he’s failing at his own business model. In part 2, we’ll have some ideas on how to get the business model back on track.